Your search for paradise and southern hospitality begins and ends right here! Discover why so many are moving to Alabama's Gulf Coast. I can offer you coastal living stretching from the Eastern Shore of Mobile Bay in the bayside towns of Spanish Fort, Daphne, Point Clear and Fairhope down to the beaches of Gulf Shores, Orange Beach, Fort Morgan and gorgeous Ono Island. If it's riverfront or bayfront property you're seeking, we have that too in Foley, Magnolia Springs, Bon Secour. How much is your current home worth? What is the market price trends in your neighborhood? Have values increased in your subdivision? Want to see comparable homes to yours? Allow me to research your property for the latest market data. One of the first steps to home ownership is getting pre-approved for your loan. A pre-approval letter carries weight when making an offer. In this competitve market, I will help you make a strong, serious offer and having a pre-approval letter in place will certainly give you an edge over other Buyers. Search for properties and save your favorites if you have the luxury of time. If you need immediate answers or assistance, I'm easy to reach. Call, text or email me anytime with questions about any active listing. Feel free to browse around and get to know this site. All listings on the Baldwin County MLS Board Of Realtors can be found here. Data is immediate, up to date and reliable. We have made several real estate purchases and have used Alana Turk as our agent in each of the investment purchases. We have found Alana to be very professional and knowledgeable and well as always providing quick response to our real estate questions. We think that if you are looking for property to purchase you will be very happy with the quality of service that Alana will provide. Investor; Over the past several years Hill Sales Inc. has worked with Alana Turk. 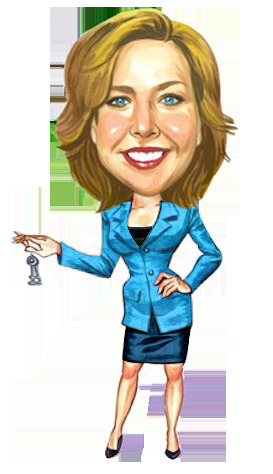 She has assisted us in buying and selling multiple properties. We could not ask for better communication, simpler or smoother transactions. It has been a pleasure to benefit from her expertise and working knowledge, in buying and selling real estate. Owner/President of Hills Sales, Inc. Thank you so much for the professionalism that you provided during the process of selling my properties. My appreciation is heartfelt and difficult to completely portray in words. This was a very stressful time for my family and you made the process enjoyable. You also helped to find the property that I had been searching for years to purchase and worked extensively to make the process smooth with your follow-ups, knowledge, good heart and humor. If anyone ever asks me, my father, or any of my family if we would recommend a real estate agent, we would definitely refer them to you. *What you need to know about condo ownership. *What does Fairhope Single-Tax Colony mean? *Why list with The Real Estate Chick? *When do you need an Inspector? *What is Alabama Right of Redemption? *Why is the age of a roof important?